TV screens. And down below, there's no lack of space for all your electronic equipment. Behind the lattice doors, there are adjustable shelves. 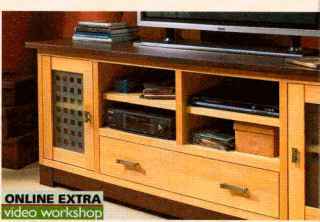 The large drawer adds even more storage for your expanding DVD collection. As nice as it looks, what you'll really appreciate is how easy it is to build. It's a simple plywood case trimmed out with a solid wood top, face frame, and base. And the lathee doors finish it off for a great look in any room. For an attractive option, you can build doors with frosted glass panels. For details, go to www. Woodsm ith.com. 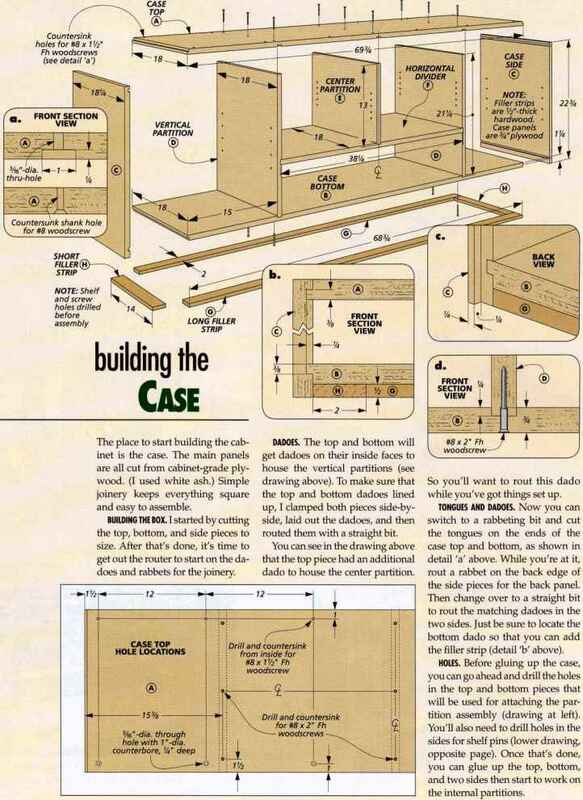 The place to start building the cabinet is the case. The main panels are all cut from cabinet-grade plywood. (I used white ash.) 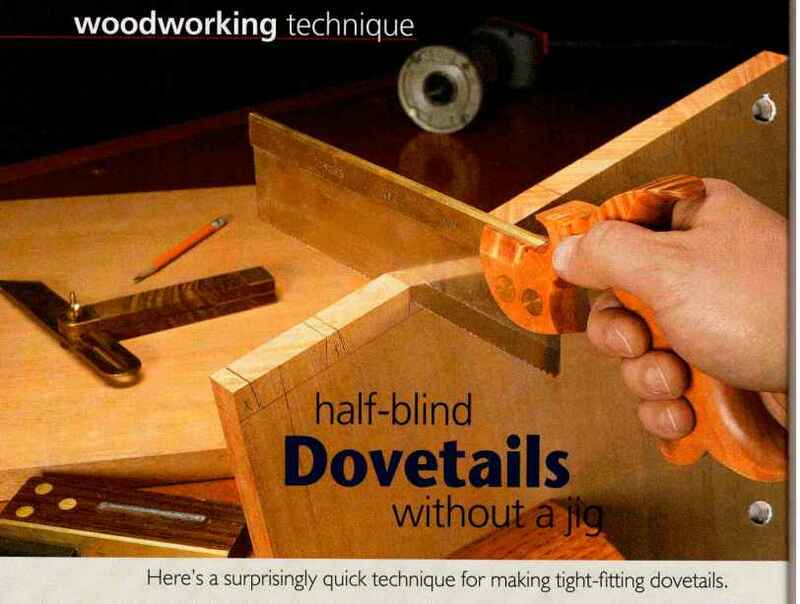 Simple joinery keeps everything square and easy to assemble. BUILDING THE BOX. I started by cutting the top, bottom, and side pieces to size. After that's done, it's time to get out the router to start on the dadoes and rabbets for the joinery. DADOES. The top and bottom will get dadoes on their inside faces to house the vertical partitions (see drawing above). To make sure that the top and bottom dadoes lined up, I clamped both pieces side-by-side, laid out the dadoes, and then routed them with a straight bit. You can see in die drawing above that the top piece had an additional dado to house the center partition. 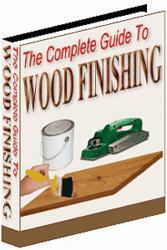 So you'll want to rout this dado while you've got things set up. TONGUES AND DADOES. Now you can switch to a rabbeting bit and cut the tongues on the ends of the case top and bottom, as shown in detail 'a' above. While you're at it, rout a rabbet on the back edge of the side pieces for the back panel. Then change over to a straight bit to rout the matching dadoes in the two sides. 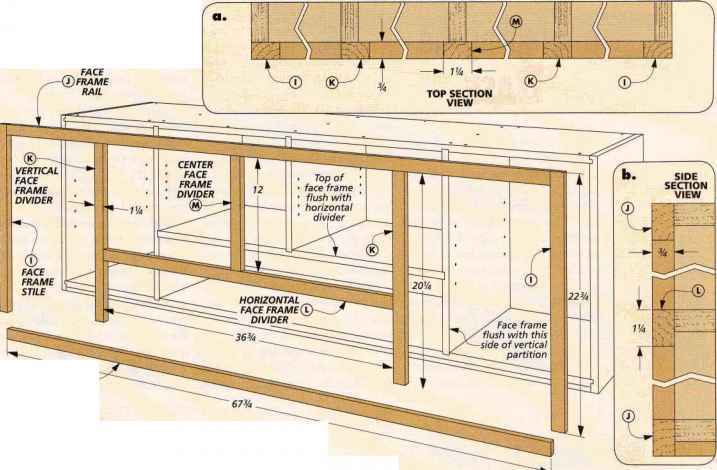 Just be sure to locate the bottom dado so that you can add the filler strip (detail 'b' above). HOLES. 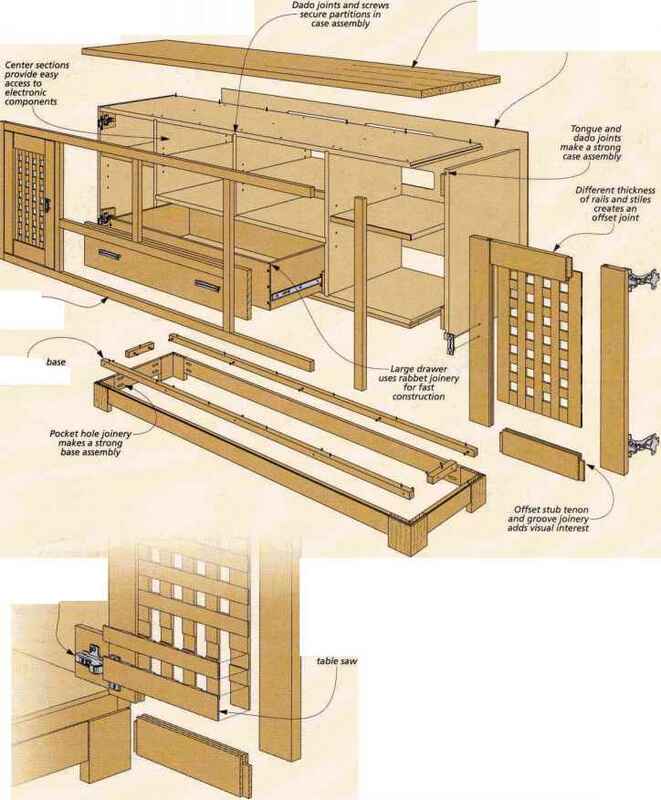 Before gluing up the case, you can go ahead and drill the holes in the top and bottom pieces that will be used for attaching the partition assembly (drawing at left). You'll also need to drill holes in the sides for shelf pins (lower drawing, opposite page). Once that's done, you can glue up the top, bottom, and two sides then start to work on the internal partitions. Drill and countersink for #8x2" Fh "— woodscrews . PARTITION ASSEMBLY. There's nothing too tricky about making the partitions. The main drawing on the opposite page shows how it's all assembled. The two taller, vertical pieces are cut to fit between the dadoes of the case top and bottom. A horizontal divider fits in dados on the two vertical pieces. And there's a center, vertical partition that divides the upper space. PARTITIONS. I started by cutting the two long, vertical partitions to size. The goal was to get a snug fit in tire dadoes of the case. The next thing to do is cut the dadoes that will house the horizontal divider. Then you can slide the vertical pieces into the case and cut the horizontal divider to fit. The last step is to cut a centered dado on the horizontal divider to hold the short, center partition. Inside face the proper face of the workpiece. Ail of the holes are stopped holes except for those in the short, vertical partition. These holes can be drilled all the way through. Finally, you can glue the partition pieces into the case and fasten them in place with screws. Now is when you'll want to make sure everything is square before you move 011 to adding the face frame. FACE FRAME. Hie face frame shown above is pretty straightforward. What's nice is you don't have to preassemble the entire frame then try to make it fit. Each piece is cut to fit and glued in place separately. I started with tire two end stiles, making sure they were flush on the outside edges, top, and bottom. Then you can cut the two long horizontal rails to fit between the stiles and glue them in place. Next, I trimmed out the vertical partitions, followed by the piece that covers the horizontal divider. Finally, you can add the shorter, vertical piece to the center partition. Next, you'll turn vour attention to the base. How to make simple drawer? How to build a cabinet using pocket screw jointery?